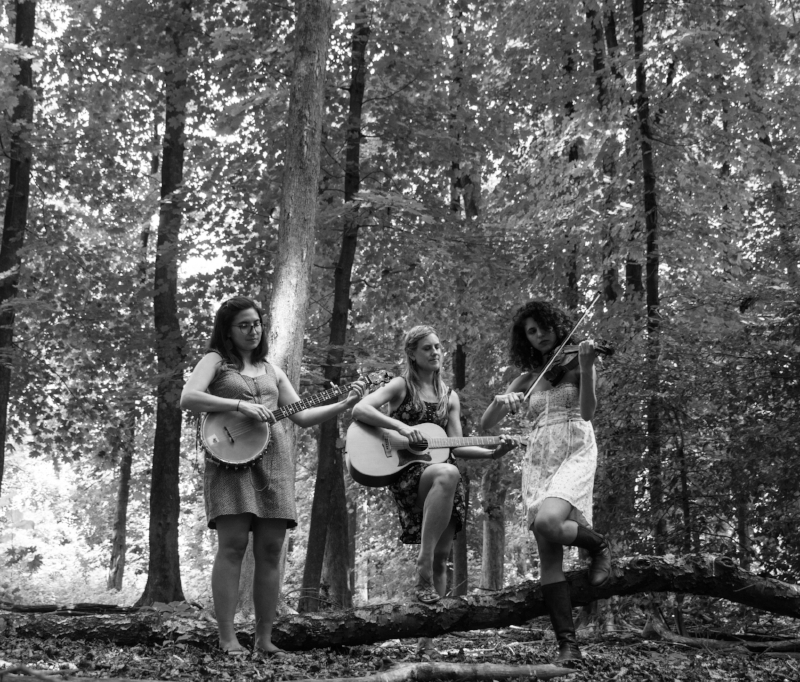 The Dead Sea Sisters draw from America’s trove of early folk and blues music, as well as traditional and contemporary Israeli songs, bringing a sweetness and warmth to well-worn classics and lesser known treasures. A collaboration of multi-instrumentalists Meitar Forkosh (fiddle, ukulele), Andrea Asprelli (fiddle, banjo), and Hilary Hawke (banjo, guitar, fiddle), the trio uses its instrumental versatility and three-part harmonies to bring life to each song that is both simple and satisfying. The project was conceived by Forkosh, an Israeli musician who recently graduated from Berklee College of Music, after studying in Israel at the Dunia Wiseman Conservatory and the Rimon School of Jazz and Contemporary Music. She moved to NYC and joined with Andrea Asprelli, Brooklyn-based fiddler/songwriter and founder of the award-winning group Cricket Tell the Weather. They are rounded out by Hilary Hawke, a long-time staple of the NYC bluegrass and folk scene who is sought after for her multi-instrumentalism, songwriting, and teaching community. Co-founder of Dubl Handi/Wild Goats, she has taught American Roots music as an adjunct professor at New School, Mannes School of Music in Manhattan and appeared on broadway in the production of Steve Martin's musical Bright Star. The trio is touring Israel February 2018.